Roti is a dish inspired by Indian food. It’s chicken/beef with vegetables and potatoes wrapped with a homemade round flatbread. 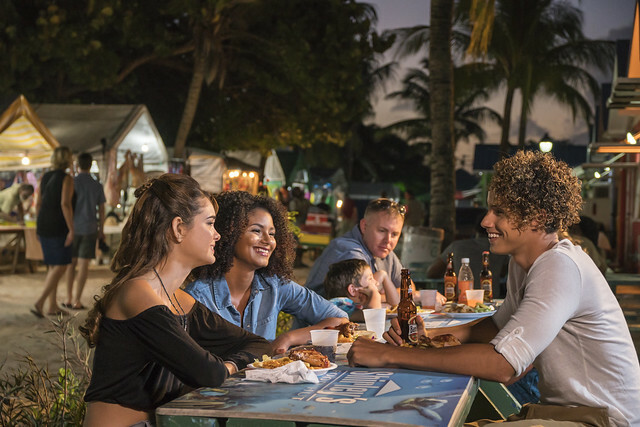 A Chicken Potato Roti is a Barbadian’s favorite. You can buy this at the famous Cheffete restaurant or any roti eatery on the island. You should definitely try this meal! You’ll be satisfied and full in no time! 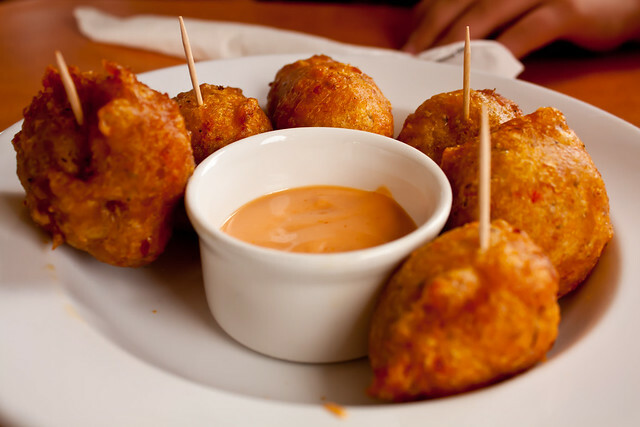 “Bajan/Barbadian’s fish cakes” are absolutely my favorite side dish to eat! These are not your average fish cakes! Traditionally, the base of this meal is chopped onions, boneless salt cod, flour, baking powder, and hot pepper. They’re easy to make! You can add additional ingredients to spice or sweeten it. Also, don’t forget your dipping sauce! This is a dough filled meal that includes a variety of meats or veggies paired with a traditional sweeten sauce and salad. Additionally, it’s best with an ice-cold Banks’ beer. “Conkies” is a favorite Barbadian/Bajan treat! It is eaten around Barbados’ Independence Day. The basic ingredients of this dish consist of pumpkin, coconut, spices, raisins, and flour mixture wrapped then steamed in a fresh green banana leaf. It’s a treat that needs precision and patience but in the end, you’ll continue to make or buy more! Last but not least, is the national dish of Barbados. “Cou Cou and Flying Fish” is traditionally served on Fridays or Saturdays. This meal may take a long time to prepare but it’s worth the wait! Cou Cou is described as a polenta-like cornmeal and okra porridge. It’s topped with beautifully made garlic, herbs, peppers, and spiced gravy then seasoned fish. This rum won the “International Wine and Spirit Competition’s” Gold Medal in 1981, 1984 and 1989. It’s a very popular rum with excellent quality. 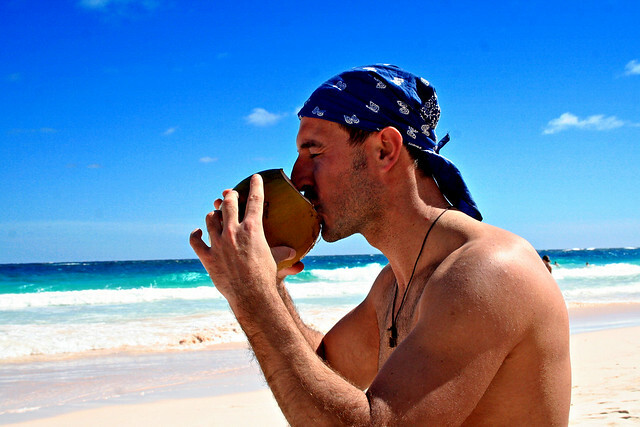 Barbadians have been drinking coconut water for generations. Enjoy the Barbados sea even more with this refreshment. It’s great to pair with rum too! You can buy it from roadside vendors who offer fresh coconuts to both locals and tourists. This beer was founded in 1961 in St. Michael, Barbados. 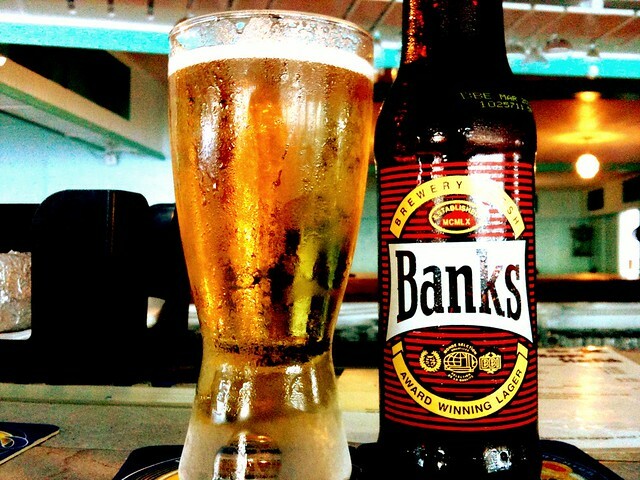 There’s nothing better than to relax on white Barbadian sandy beach with a cold Banks beer in your hand! This beer is naturally filtered through Barbados’ limestone rock and a special strain of yeast. Tiger Malt is a popular non-alcoholic beverage made from barley. Like many Caribbean islands, malt is a good source for energy that is packed with vitamins, minerals, and protein. Tiger Malt gives you energy without the caffeine! 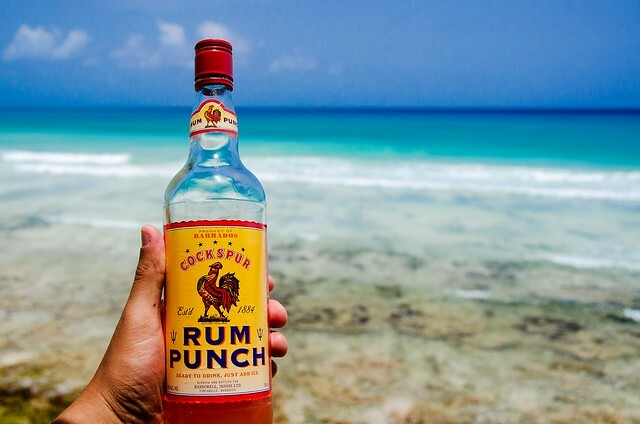 Barbados is the birthplace for rum. 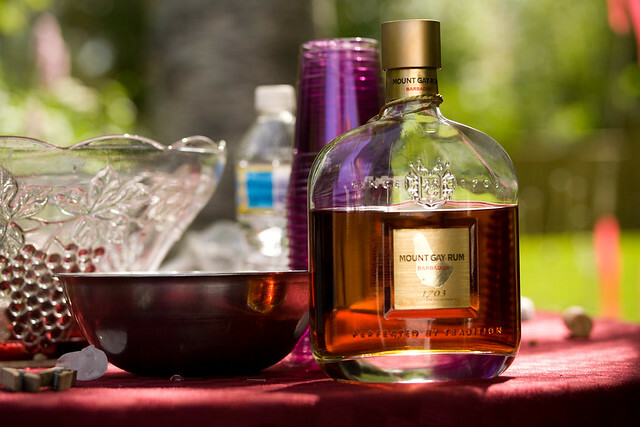 Furthermore, Mount Gay Rum’s distillery is the world’s oldest commercial rum. The rum is used in many of Barbadian’s drinks such as rum punch, old fashioned, black/rum cake and cocktails. It delivers the kick to any beverage!